Now that Easter is just around the corner (and how has that happened so quickly?!) 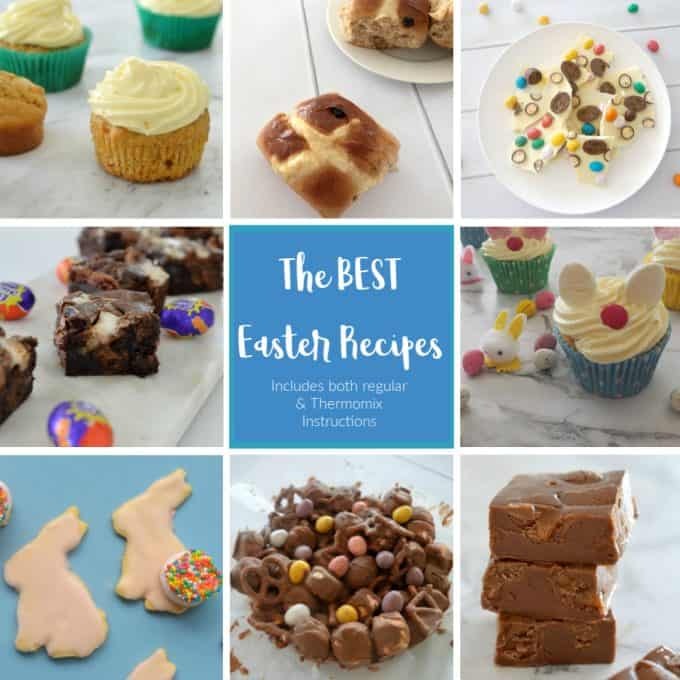 I thought it was time to put together this collection of the BEST Easter Recipes, which contains all of the desserts and sweet treats you will need to help celebrate over Easter. I’ve included everything from cheesecakes to Hot Cross Buns, Fudges, Muffins and more and I know there will be something for everyone here. 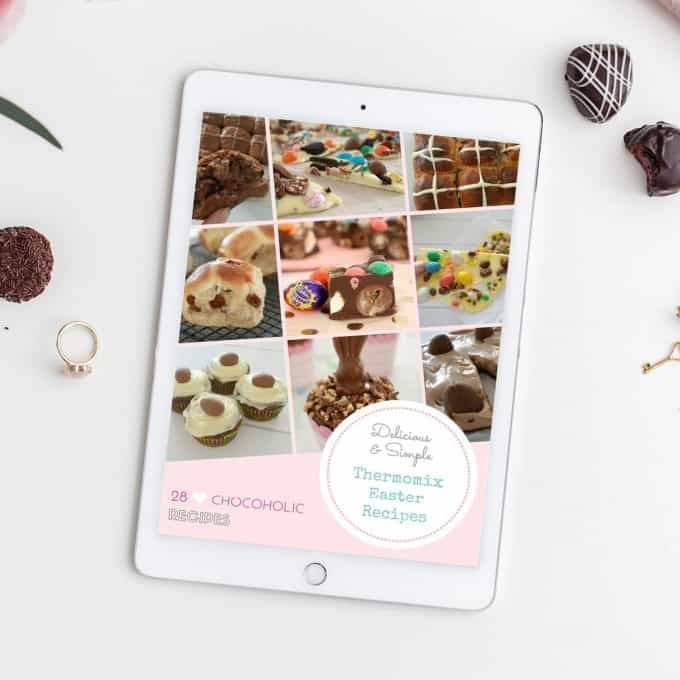 All of these recipes include both regular and Thermomix instructions too. This simple Maltesers and Easter Egg Bark makes a great Easter gift for friends, family and teachers. It's also a really great recipe for the kids to help you put together. Looking for the ultimate Chocolate Brownies? This easy Caramel Brownies recipe is for you! Both regular and Thermomix instructions included. These easy Carrot Cake Muffins with Cream Cheese Icing are a great afternoon tea treat, as they are as simple to make, freezer friendly (when un-iced) and are also perfect for Easter! Thermomix instructions also included. This 3 Ingredient Caramel Easter Egg Fudge would have to be one of the easiest Easter recipes going around! Thermomix instructions are also included. 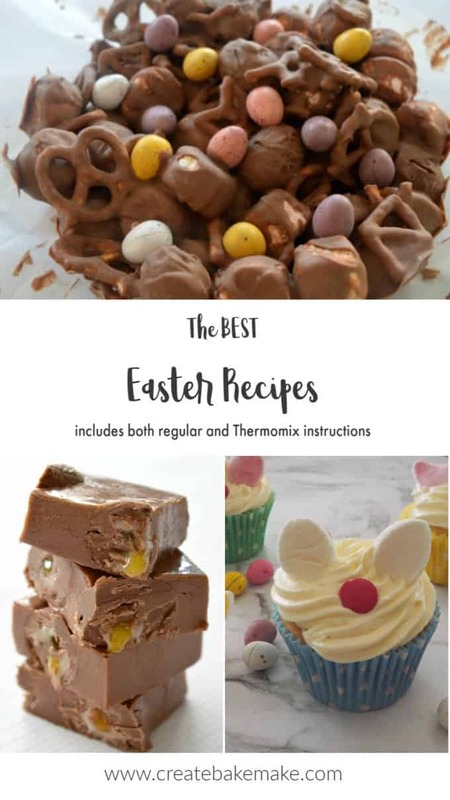 You can also find more easy Easter recipes in our Thermomix Easter Recipe eBook or our Chocolate print book. You can shop the entire range of print and eBooks here.